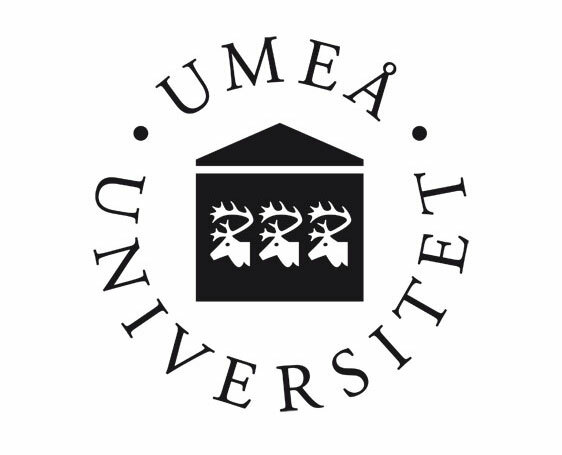 I am an associate professor (Docent) and a senior researcher (in Theoretical Foundations of Artificial Intelligence) at the Department of Computing Science, Umeå University (UMU) (Sweden). I am a member of the Interactive and Intelligent Systems group. My research is mainly focused on Formal Reasoning Methods for intelligent systems. Before I joined UMU, I was a member of the Knowledge Engineering and Machine Learning Group, Universitat Politècnica de Catalunya - BarcelonaTech (UPC). Declarative programming with emphasis on Answer Set Programming. Artificial Intelligence - Methods and Applications , from autumn 2014 to autumn 2018. Interactivity in smart environments, Autumn 2016 to Autumn 2018. Trends in interactive intelligent environments , Spring 2019. AAMAS 2017 - Tutorial : Argumentation-based Dialogue Systems for Autonomous Systems and Multiagent Systems , Sao Paulo Brasil, May 9th, 2017. Project: COST Action: CA17124 - Digital forensics: evidence analysis via intelligent systems and practices (2018-2022). Project: The Kempe Foundations - Autonomous systems that recognise, explain, and predict complex human activities (2017-2019). Project type: The Kempe Foundations, Research foundation. Project: Nordic Telemedicine Center - The aim of the project is to establish a multi professional competence center in telemedicine to gather knowledge and increase mutual learning among health-care staff, researchers and companies (2015-2018). Project type: Botnia-Atlantica, European Regional Development Fund. Project: ACKTUS - Activity-Centred Modelling of Knowledge and Interaction Tailored to Users. Project type: Swedish Research Project. Project: SMARTGRID- ENERGOS - Technologies for automated and intelligent management of power distribution networks of the future (2010-2012). Project: PARKINECTIS - Electromobility Living Lab - Accelerating knowledge acquisition about electric vehicle. Project: Management of Urban Wastewater Systems. Project type: Local Project supported by KEMLG (UPC) and LIQUIA (University of Girona). Project: ALIVE - Coordination, Organisation and Model Driven Approaches for Dynamic, Flexible, Robust Software and Services Engineering (2008-2010). Project: ASPIC - Argumentation Service Platform with Integrated Components (2004-2007). Associate editor of the Journal of Computacion y Sistemas. Program co-chair and co-organizer of the 1st International Workshops on Argumentation in Logic Programming and Non-Monotonic Reasoning (Arg-LPNMR 2016). Arg-LPNMR 2016 is co-located with the 25th International Joint Conference on Artificial Intelligence IJCAI-16. It took place in New York City, July 9-11, 2016. Program co-chair and co-organizer of the workshop on Methods and applications of Artificial Intelligence. This workshop was co-located with the Mexican International Conference on Computer Science. It took place in Chihuahua, Mexico, November 14-16, 2016. Co-guest editor of the special issue on Argumentation and Logic Programming of Fundamenta Informaticae, 2016/2017. Co-guest editor of a Thematic Issue on Developments on Logic-based Methods for Intelligent Systems which will be published by the Journal of Computacion y Sistemas, 2015/2016. Program co-chair and co-organizer of the first international Workshop on Argumentation and Logic Programming (ArgLP 2015) which was co-located with the 31st International Conference on Logic Programming (ICLP 2015) . ArgLP2015 will take place in Cork, Ireland on August 31, 2015. Guest co-editor of a special issue of the Latin American Workshop on New Methods of Reasoning (LA-NMR-2014) which will was published by the Electronic Notes in Theoretical Computer Science (ENTCS), 2015. Logic Journal of the IGPL. Journal of Experimental and Theoretical Artificial Intelligence. International Journal of Approximate Reasoning (IJA). Journal of Data and Knowledge Engineering (DKE). Journal of Theory and Practice of Logic Programming (TPLP). Journal of Logic and Computation (JLC). Computers and Industrial Engineering (CAIE). Computer Methods and Programs in Biomedicine - Journal (CMPB). PC-member of the 28th International Joint Conference on Artificial Intelligence - IJCAI 19, 2019. PC-member of the 11th International Conference on Agents and Artificial Intelligence - ICAART-19, 2019. PC-member of the 27th International Joint Conference on Artificial Intelligence and the 23rd European Conference on Artificial Intelligence - IJCAI-ECAI-18, 2018. PC-member of the Joint Workshop on Artificial Intelligence in Health - IJCAI-ECAI-18, 2018. PC-member of the Artificial Intelligence International Conference – A2IC, 2018. PC-member of the 10th International Conference on Agents and Artificial Intelligence - ICAART-18, 2018. PC-member of the the 28th International Conference on Electronics, Communications and Computers (CONIELECOMP), 2018. PC-member of the A2HC @ AAMAS 2017 X Workshop on Agents Applied in Health Care, 2017. PC-member of the 9th International Conference on Agents and Artificial Intelligence - ICAART-17, 2017. PC-member of the the 27th International Conference on Electronics, Communications and Computers (CONIELECOMP), 2017. PC-member of the 25th International Joint Conference on Artificial Intelligence - IJCAI-16, 2016. PC-member of the 15th Mexican International Conference on Artificial Intelligence - MICAI-16, 2016. PC-member of the 10th Latin American Workshop on New Methods of Reasoning - LANMR-16 2016. PC-member of the the 26th International Conference on Electronics, Communications and Computers (CONIELECOMP), 2016. PC-member of the A2HC @ AAMAS 2015 IX Workshop on Agents Applied in Health Care, 2015. PC-member of the International Conference on Electronics, Communications and Computers (CONIELECOMP), 2012-2015. PC-member of the Mexican International Conference in Artificial Intelligence (MICAI), 2009-2015. PC-member of the Latin American Workshop on New Methods of Reasoning (LA-NMR), 2006, 2008-2014. PC-member of the 9th IEEE International Conference on Industrial Informatics - ICT @ SmartGrids (INDIN), 2011. PC-member of the Mexican International Conference on Computer Science (ENC), 2011.